Looking for the best camping tent rental tips? This whole hiking and camping thing might not be for you. So it makes good sense to rent what you need for your first few camping expeditions. Hikers don't always camp, but camping is compatible with hiking in the form of backpacking or using a campground as base camp. If you need to sort out the difference between hiking gear and camping equipment, read this first. And here are the best car camping tips to get started. Otherwise, stick with this page to give you the scoop on camping tent rentals. You've decided to do some camping. That means you need a tent. But not all tents are created equal. You might be planning to car camp: drive to a campground and set up the tent (see tips above). Car camping means you can rent a tent that has a lot of bells and whistles on it, weighs a lot, and is really roomy. It might even have more than one room! Great if you want to segregate sleeping from lounging, or separate sleeping children from adults. Or you might want to hit the trail, but don't have a tent that is compact, lightweight, easy to set up and break down, extremely weatherproof, and yet able to accommodate your body and your gear. Two completely different types of tents, right? So let's tackle the different types of camping separately, so you can see your camping tent rental options at a glance. You can rent tents that sleep 1 - 6 people. However, you should rent a tent that is officially rated for one more person than will be sleeping in the tent. So if you are a group of 3 adults, rent a 4 person tent to give yourself plenty of floor space. 2. What season do you plan to go camping? Three season tents won't keep you as insulated and dry in early spring or late fall conditions as tents that are built to withstand the fourth season: winter. Rain weighs less than snow, so the tent design differs between three- and four-season tents in very important ways: weight bearing -vs- directing moisture away from the tent. 3. Do you need a tent with lots of head room to accommodate tall people? Cramped quarters that force tall people to hunch all the time will ruin the camping experience. 1. Does this tent come with its own footprint? This gives you insulation and protection from cold wet ground. 2. Is it free standing? Do you recommend staking it anyway? This gives you a hint of how easy it will be to set up, and how much wind it's built to stand up to. For lots more tent features that you might want to consider, read this. Figure out which things matter most to your camping enjoyment: space, comfort, protection against weather, ease of set up and tear down. You can't have it all in one tent, but you can definitely pick your preferred features! When you wander away from civilization, you need to be sure that the tent you rented can keep you warm and dry, safe and happy. Here is everything you need to know about backpacking tents. Decide which type of tent you want before you approach a rental place. They will be able to quickly get you the tent you need if you're already aware of your options. Otherwise, you're wasting everyone's time. Now you're ready to rent a tent. And you feel confident that you know exactly which type of tent you need. Should you rent from a local store where you can pick up and return the tent after your camping trip, or use a mail order rental company? If you want to go local, REI Co-op is a trusted gear store that rents outdoor gear, including tents. They have lots of urban locations in the United States. Give them a call to see if they have what you need to rent. Their rental policy is very straightforward. Their gear is up to current standards and always in good repair. You can check this for yourself when you pick it up! Having your rental gear shipped to you will add some expense, but it can be very convenient, too. Tents don't weigh all that much, so shipping costs based on weight will be reasonable. Check out this "by mail" camping tent rental company's suggestions for some great car camping tents. 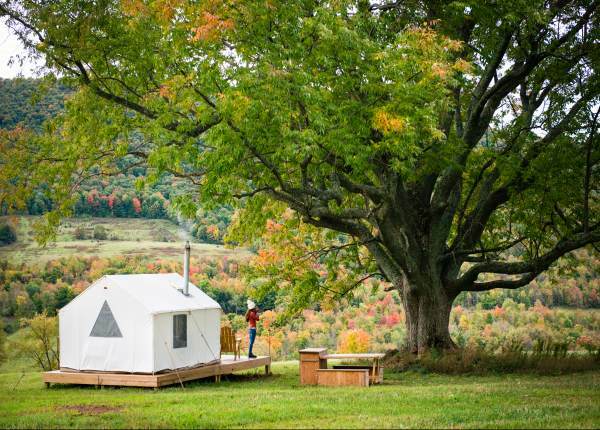 A company called Tentrr has taken an entirely different approach to tempt you into camping. Yes, that's a campsite, but it's your own private campsite. You'll enjoy a tent already set up for you, and a camp kitchen with table. In addition, you'll find a fire pit for roasting marshmallows, and some comfy chairs. And here's the clincher: a camp toilet, so you don't have to figure out that whole "pee in the woods" thing. All you have to do is choose your destination (United States only), then choose among your options for camping sites on private land (no campground issues to deal with! ), and you're on your way to a great outdoor vacation. No fuss, no expenses for gear that you might not like to use again. Do your homework before you go looking for a camping tent to rent. A small investment of time will save you time when it's time to sign the rental agreement, and probably money because you'll end up renting only what you need. And it will definitely give you more comfort and enjoyment during your camping trip! Intrigued with all of the ins and outs of tents? Read more about camping hiking gear here! 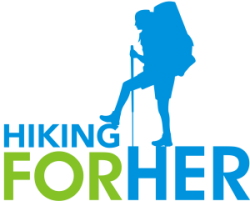 Hiking For Her is an affiliate for great outdoor gear and camping tent rental companies. That means it costs you nothing extra when you use the links to purchase or rent your gear, but HFH receives a small percentage for recommending only the best of what works for outdoor adventures. It's the way all of these hiking tips remain freely available to all.